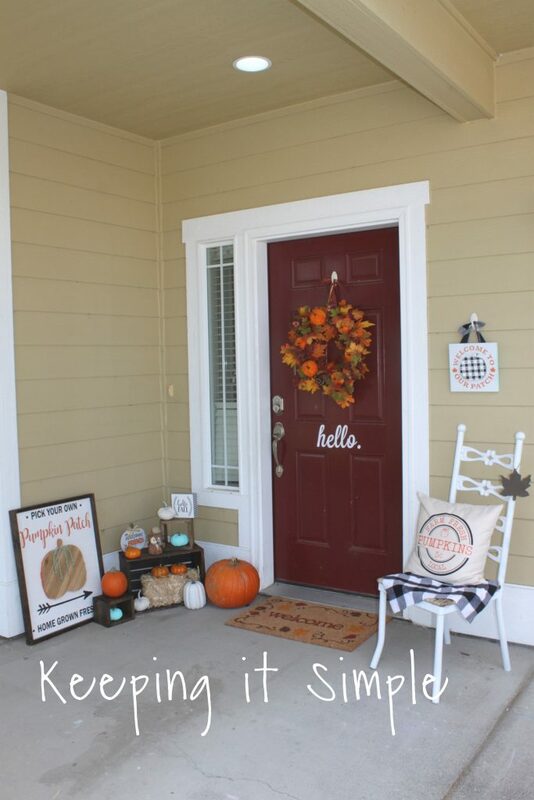 This year I have had a lot of fun decorating my front porch. It was a fun to put all of the different colors and patterns together. 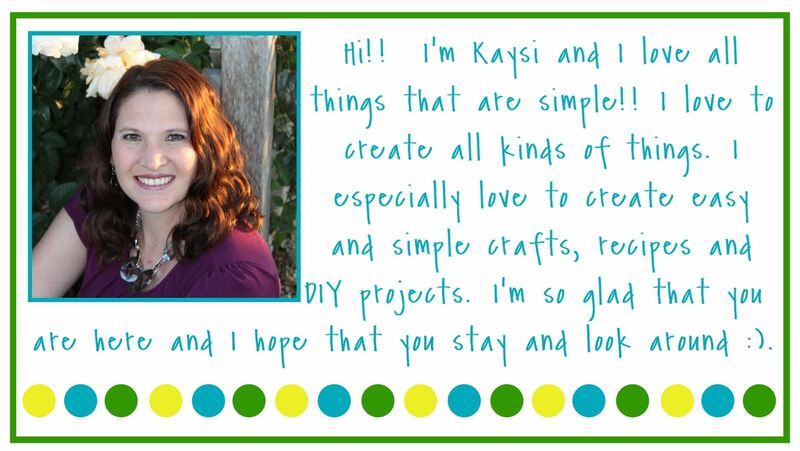 I went with a black and white buffalo plaid, lots of pumpkins and a touch of aqua blue for a fun pop of color! 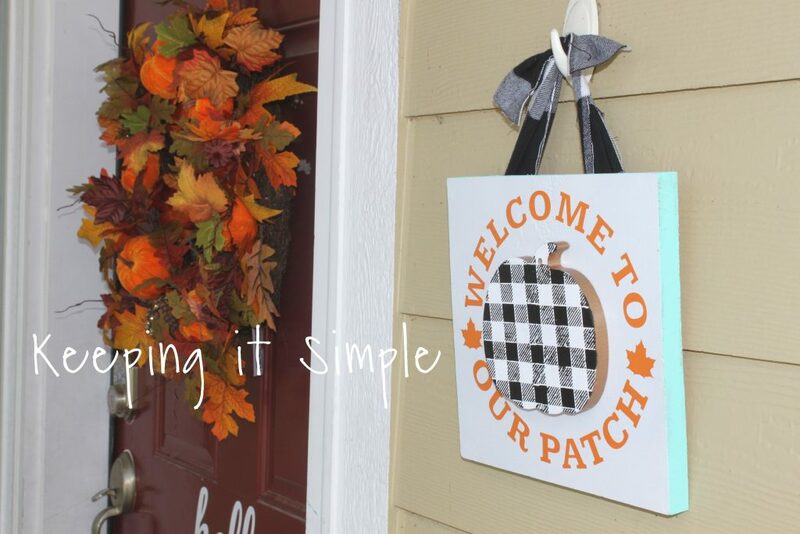 Let’s dive in and see all the details of of my fall porch decor ideas. I made a lot of the stuff but also I bought of the stuff, so I will let you know where I got things :). 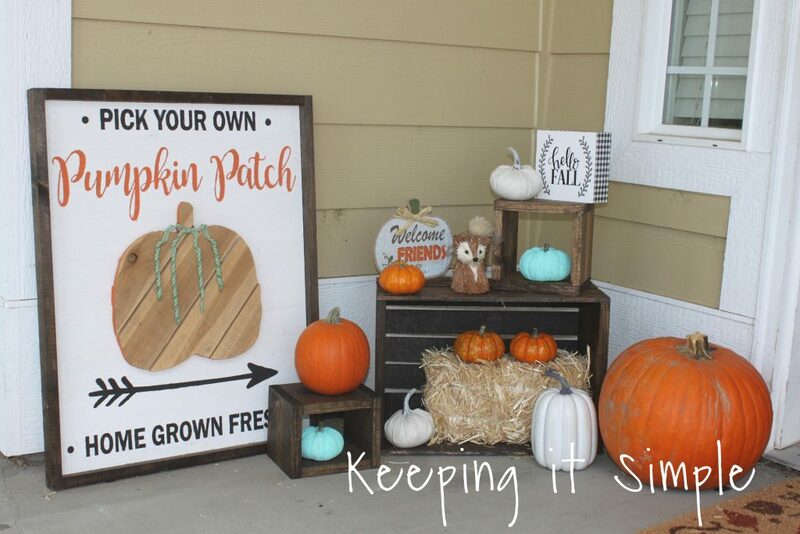 Let’s start with the side of with all the pumpkins. 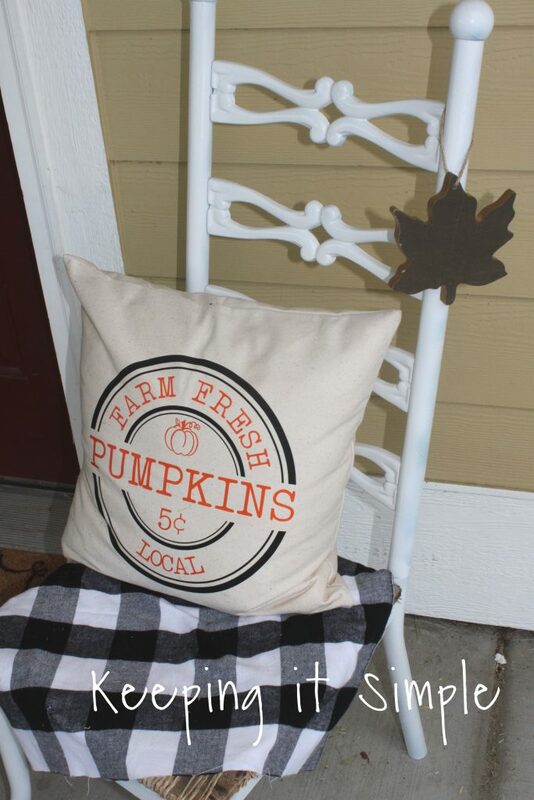 I made this pumpkin patch sign about a year ago (and surprise, it’s reversible!). I added one of those crate from Michaels, a bunch of pumpkins. Several of them are real pumpkins, some of them are fabric (from Target dollar spot) and a couple of them I painted aqua. 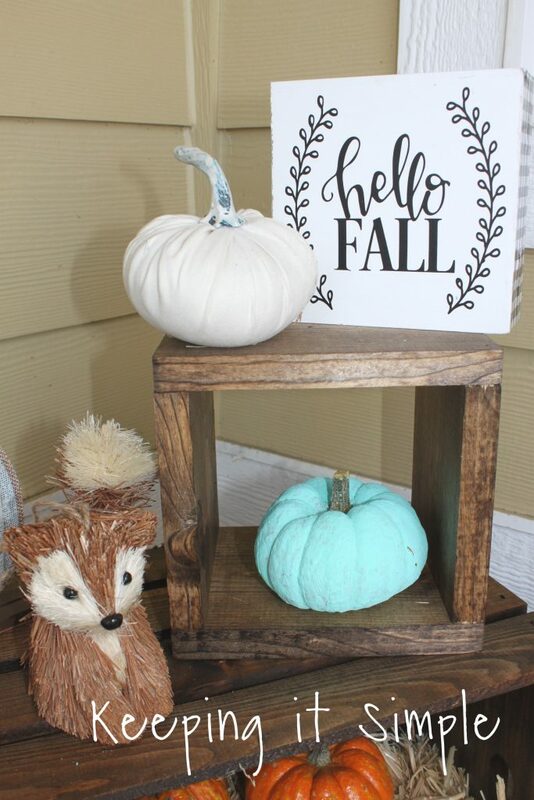 The little welcome friends sign is from the Dollar Tree and the cute little squirrel is from Walmart. 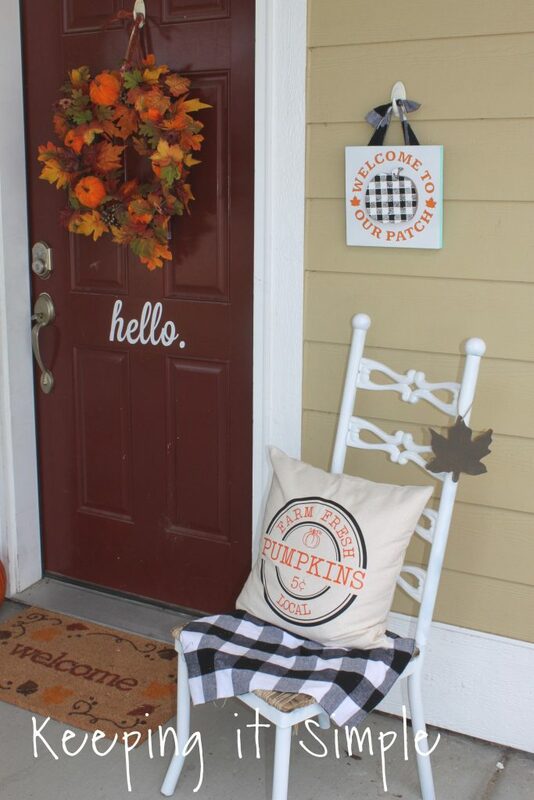 On the other side of the porch, I made a cute little sign for my hook and then a fun pillow for the chair. Here is a close up of the buffalo plaid sign that I made. I also made a couple of wood boxes out of a 1 x 6 board to give the some dimension and height to the corner of the porch. Here is a close up of the chair and pillow. I got the little leaf ornament from the Target dollar spot. And here is a close up of the sign. I made it with another little ornament from Target. I added the aqua color for a little pop of color. 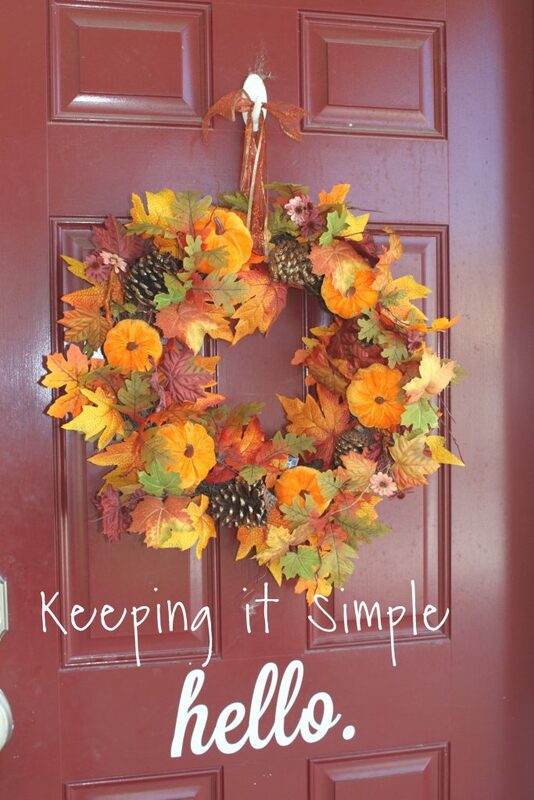 I picked this wreath because I loved the little velvet pumpkins in it. I found it at Ross. Here is one last angle of my porch. The door mat I got from Home Depot. 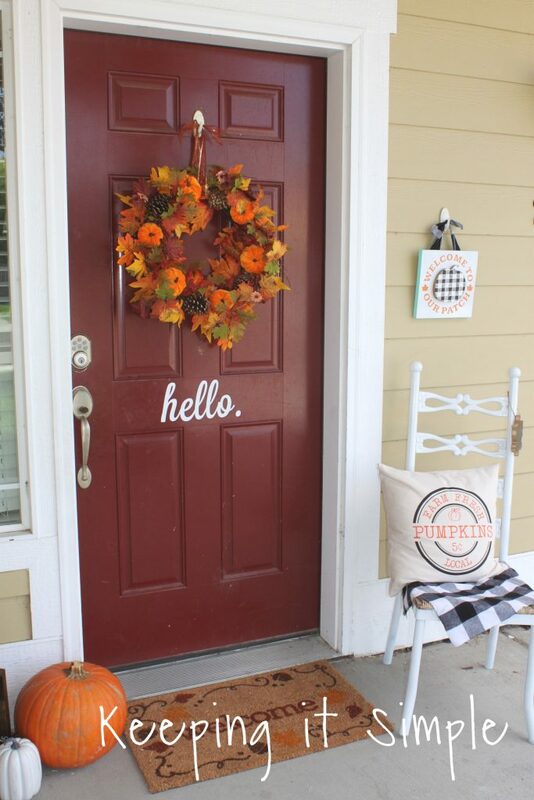 I’m excited about my porch and how it all turned out! 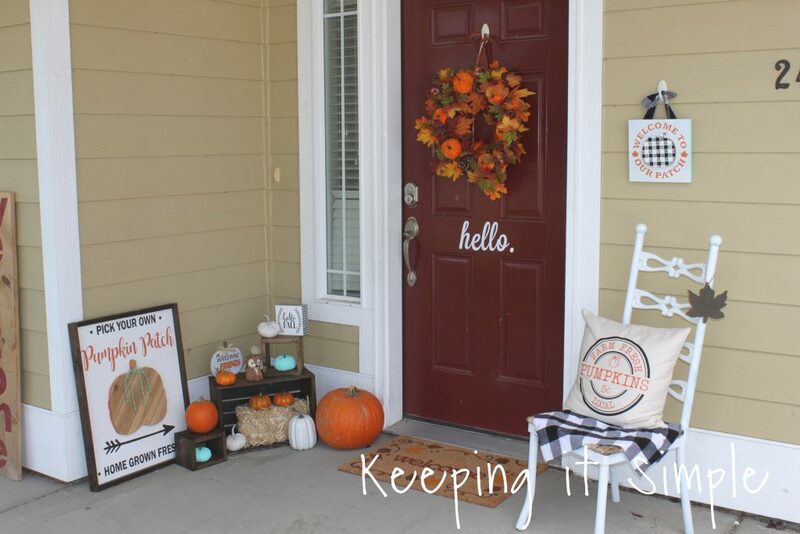 Check out my other fall decor ideas!